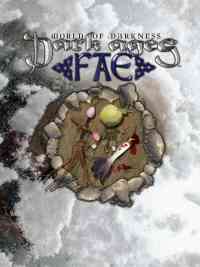 Dark Ages: Fae is the book for playing the "Good Folk." Some have bred with humanity and inherited our understanding of the world, some are born of the Earth and the elements, and the rest spring from the very stuff of Creation itself. This book provides complete information on playing fae characters, including details on their society, their magic and their perception of the world. This book requires the use of Dark Ages: Vampire. Note: The Black & White print edition of this book are not full-bleed. Because of printing requirements there is a small white border around the edge of the pages. While the PDF of this book is an Original Production File, the Print book is Scanned Image Book.